By now most of us know whether or not we drew that limited deer or elk tag we hoped for, or whether we’ll be back to hunting in our general, “over-the-counter” areas again this year. As we start planning our hunts, one of the questions we should ask ourselves is: “Will animals be where I ‘expect’ them to be this year, and if so, how many?” As I outlined in Snow on the Mountain – Part 1 late-winter and early-spring mountain snowpack can significantly impact where animals might be in the summer and into the fall. For many hunters, 2011 was a year of extremes. Some hunters had a rude awakening after arriving at their high country deer or elk camp; many folks found fewer animals than they expected based on past experience—if they were lucky enough to find any at all. Others folks were covered up with animals, and had one of the best seasons or their lives. 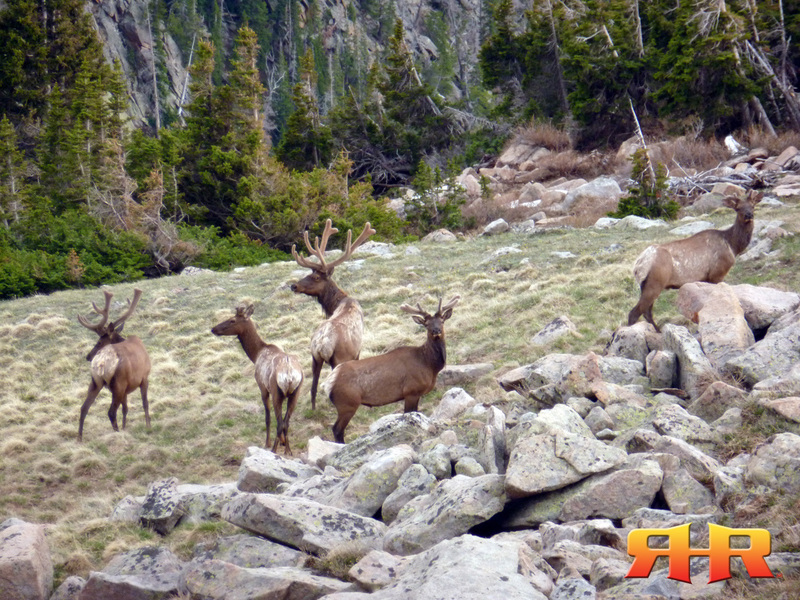 Some elk hunters experienced almost no bugling and no “visible” rutting activity in September or early October. Others had elk screaming their heads off, cows running all over the place, and bulls working calls almost every day of their hunt. And then there were those who wondered what all the fuss was about because they experienced a normal year in their area: the same numbers of deer and elk, all active the same time of the year, and in their usual spots. Why the disparity of experiences between folks hunting the same areas year after year (thus having experience over multiple years to pull from in their evaluation of what they saw, heard, and experienced)? Why did some folks report hunting experiences and conditions that were markedly different than “usual”? And we’re talking about folks across multiple western States, not just one region per se. So, what was different? Many folks tried to attribute their localized experiences to “rut timing” (i.e. a “late” rut), moon phase, hunter pressure, etc…. When we take a close look at those factors, however, we end up seeing that none of those really seem to be consistent enough across the board to cause the changes most of us were seeing. So then what was it? What would have a wide enough reach to affect so many hunters in so many different places? Was it the weather? Well… let’s look at that. When we ask, “Was it the weather?” most folks refer to the weather they experienced during their hunt, or immediately preceding it. Those that do think a little more long-term might extend their ponderings out to the weather conditions a month—maybe two—before their hunt. But how many of us think about spring and early summer conditions? While a significant September or early October snowstorm can definitely impact elk activity and movement—sometimes overnight—rainy weather typically doesn’t move elk around that much, if at all. While excessively dry conditions can cause elk to move out of an area (and we’ll talk about that in the next article), most of us weren’t dealing with excessively dry conditions last year, so—what was it? Could the changes and differences that many of us saw last year have been related to “weather conditions” that preceded our hunts by a month or two – or even more? Probably. 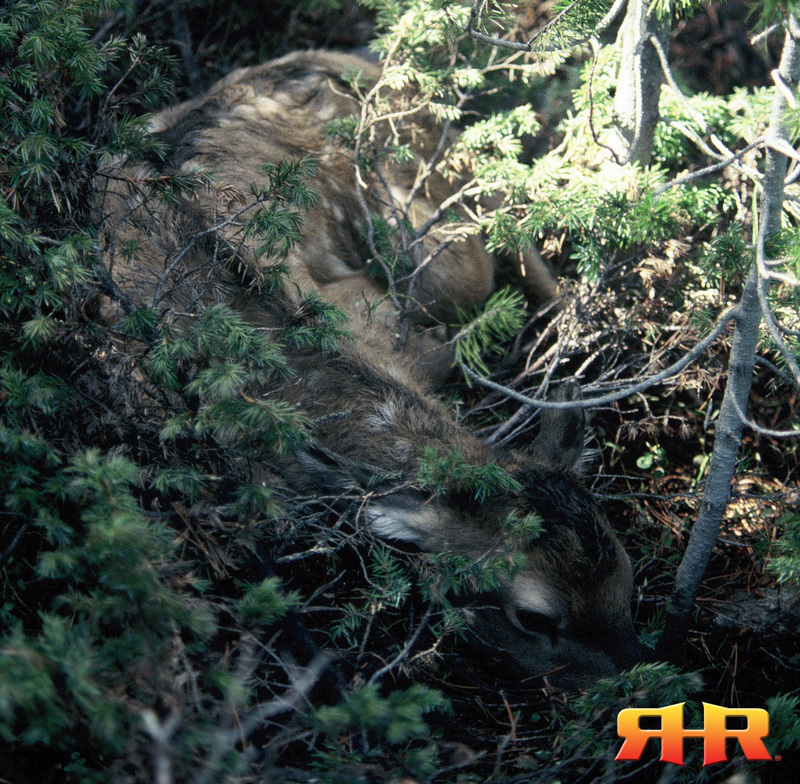 A two to three-day old elk calf bedded in a well-used traditional calving area at approximately 8,500 feet in elevation in the White River National Forest of central Colorado. A cow and her calf bedded between patches of remnant snow, in early June, in the heart of a traditional calving area —at approximately 10,000 feet in elevation—in central Colorado. Depending on that year’s snowpack and spring temperatures, “spring” can be a fickle thing. In “normal” years, deer and elk can look forward to a late-May or early-June where most snow remains in patches in the timber, and spring green-up is in full swing. But throw in an exceptionally snowy winter and spring like the one we had in 2011 in many places, and “spring” moves from May to July! While most vegetation can sit patiently under the snow waiting for the warm rays of the sun to start the engine of production, deer fawns and elk calves are on a different clock—one that was set in motion months before winter really figured out what it was going to do! A two to three-day old elk calf “hiding” from the author during the Upper Eagle River Elk Study, in the White River National Forest of central Colorado. In years when spring hits the snooze button—repeatedly—and significant snowpack lingers across the traditional spring range, deer and elk have to switch to “Plan B” and find different areas in which to spend their time waiting for warmer, more productive, days. For the ladies, that means they have to find new areas to give birth, and for the guys it means seeking out new areas in order to pack in the protein. Depending on the area, and depending on the year, these “Plan B” forays into new territories may be temporary, and relatively close to where their originally intended areas were, or may be permanent (at least for that season) and in completely different basins, or on completely different mountains altogether. While the new areas may work out for the animals just fine, for the hunter heading into their “usual” hunting areas, their season just turned into a crapshoot. For those hunting in those areas where the animals went to, it can turn into an absolute mind-blowing season: deer and elk everywhere, bulls screaming, cows running everywhere, and more shot opportunities than you can shake an arrow, or boom-stick, at! For those hunting where the animals wanted to be, but couldn’t get to, well…they might be better off with a tag in their pockets for crickets, because entire mountainsides and basins can be devoid of anything larger than that! 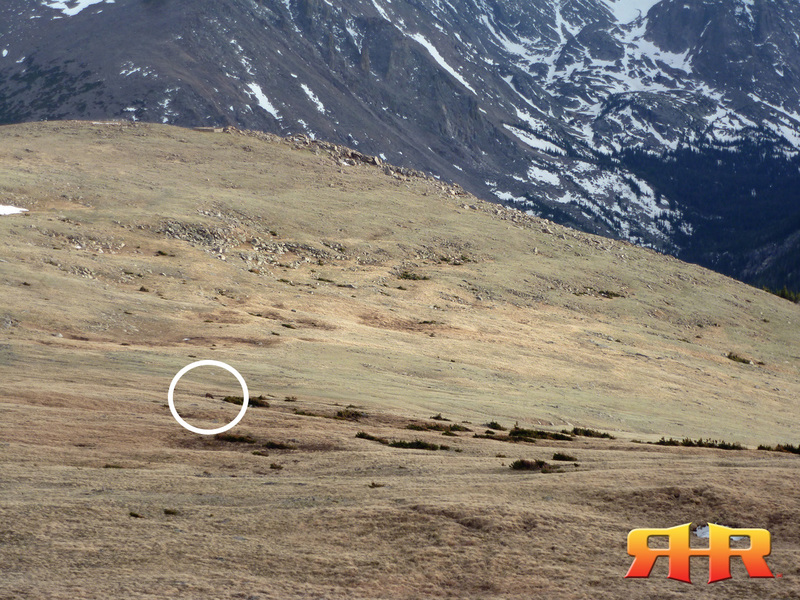 Ok, maybe a marmot…but no deer, no elk, and a season spent burning more boot leather than there’s boot! That was 2011 for many people. In the graph below, you can see what the snowpack looked like for each of the major basins here in Colorado* in 2011. For an apples-to-apples comparison between 2011 and 2012, we’ll be comparing the May data sets here in a minute, but take a look at June 2011 first. For all but the basins in the southwest part of the State, most deer and elk were DEFINITELY operating on “Plan B!” While in some areas, deer and elk make made their way back into “traditional” areas by late summer or early fall to a certain extent, there were a number of areas where deer and elk never returned at all. In some areas, if the sheer snowpack left on the mountain didn’t keep animals out of their traditional areas, raging rivers did. And while 2011 is a year that is still fresh in our minds, it isn’t the first year where conditions like this have affected animal movement. Anecdotally, many “old timers” swear that years ago, a similar winter like that of 2011 occurred in the southwest part of the State and moved deer and elk out of several premiere units—perhaps and even out of the State—wherein the bulk of the herds never came back to traditional ranges, even in subsequent years. In all but the southwest basins (the Rio Grande and San Juan et. al. basins), each month had above-average snowpack, but the truly significant detail here is the snowpack percentages for the month of June. With an average snowpack of more than 250% above normal across the central and northern mountain areas, deep snow precluded many animals from making their way back to their traditional fawning/calving and summer areas. *NOTE: Colorado data is presented because the Colorado offices of the NRCS have the best depiction of their data in graphs such as this, making understanding the data sets easier to understand and compare. So, what does 2012 have in store? A quick look at the same graph for 2012 reveals we probably aren’t going to be having any issues with animals having “access” to their traditional fawning/calving and summer ranges! However, given the level of contrast, our current conditions might still affect deer and elk movement and overall habitat use—but that’s the topic of the next article. Note the stark difference in snowpack levels for May between 2011 and 2012! As bad as that is, June is on track to be even more dramatically different. 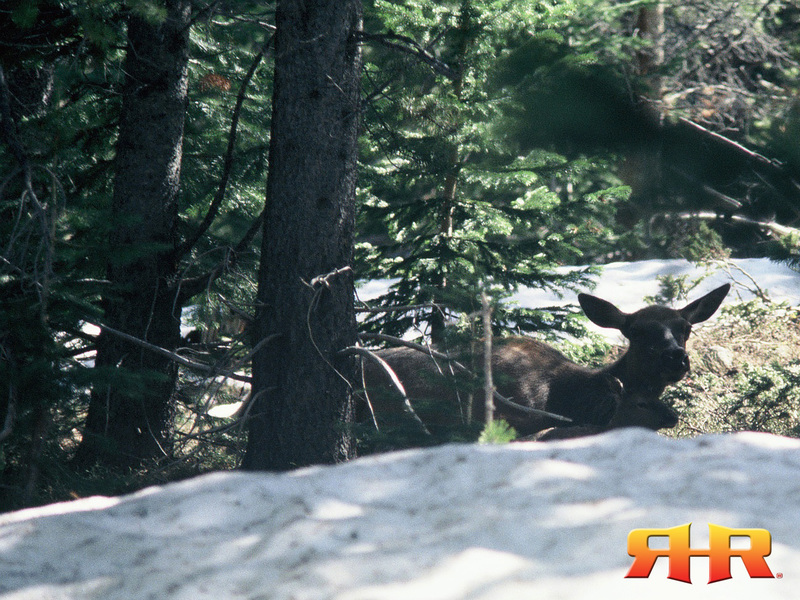 For 2012, access to traditional fawning/calving areas and summer ranges for deer and elk won’t be an issue. Note how little snowpack is left in the southern Rockies as opposed to that found in the Pacific NW and the northern Rockies. Given this level of contrast, it’s safe to say that for most animals across the western U.S., access to traditional fawning/calving areas and summer areas isn’t going to be an issue. 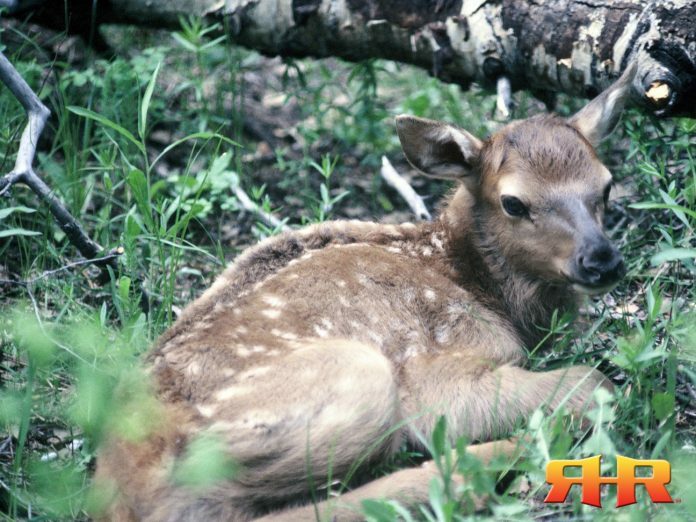 Where does and cows were dropping fawns and calves on the fringes of their winter ranges last year, they’re dropping their little ones on their high elevation summer ranges this year. As I write this, our annual elk calf monitoring efforts have already shown more elk up on summer ranges that are usually reserved for July rather than late May and early June, with calves being dropped on alpine tundra—above 11,000 feet—as opposed to the willow bottoms and aspens 2,000 feet below. 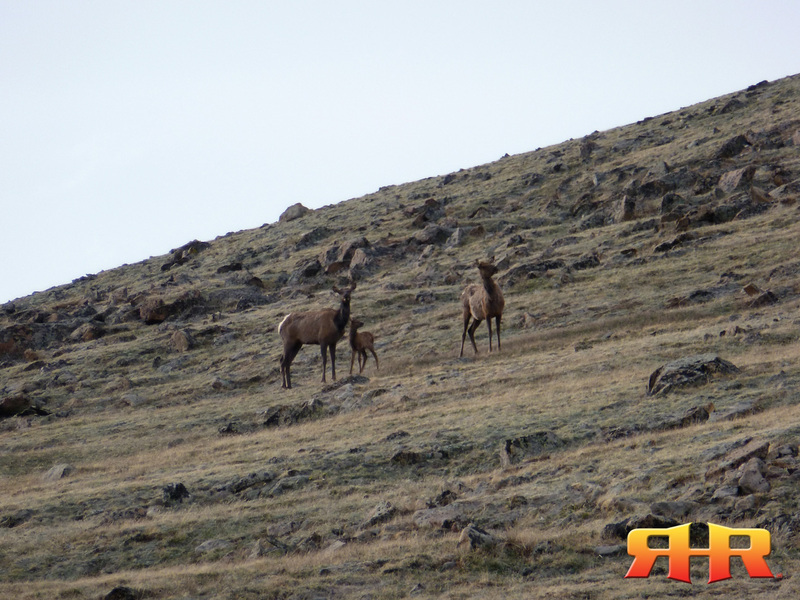 A cow, her newborn calf, and likely her “daughter” from last year already in the alpine tundra – nearly at 12,000 feet – by late-May, 2012. This trio was actually traveled over the ridge behind them, heading straight toward the author before this picture was taken. Upon seeing the author, the trio – along with several other cows – moved back over the ridge out of sight, and to higher ground. Given the size of the calf and its level of mobility, the calf was likely only five days old or so, and given the presence of other cows in the area that were very close to parturition, was likely born at this elevation. Deep in the heart of traditional “summer” range above 11,000 feet, this cow’s behavior suggested she was VERY close to giving birth when this photo was taken on 30 May 2012. Note not only the lack of snow on the slope the cow is on, but also on the steep north facing slopes in the background. This bachelor group of bulls was one of several that were seen above timberline at the end of May 2012, and still heading up in elevation! 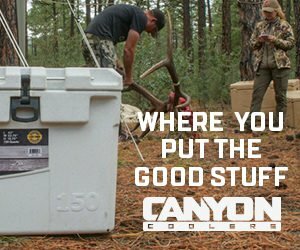 While we might not have to worry about excessive snowpack keeping deer and elk from reaching traditional late-spring/early-summer areas this year (except maybe some of you hunting the Cascades in WA and OR…), it’s something that we all need to have on our radar screens each year as we plan our hunts and put in for tags. And while access may not be precluded this year, “overly accessible” access to everything so early in the season may bring about its own problems that we’ll discuss in Part Three. 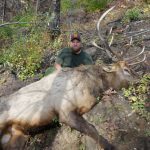 Chris Roe is a Certified WildlifeBiologist, behavioral ecologist, an elk behavior and vocalization specialist, and a passionate elk hunter based out of north-central Colorado. Chris operates Roe Hunting Resources where he offers advanced online educational resources for hunters interested in learning more about the animals they’re after.Concepts discussed in this article and many others can be found in Roe HuntingResources’ Elk Module, or in The Elk Hunter’s Strategy App available through the App Storeor the Android Market.